1. 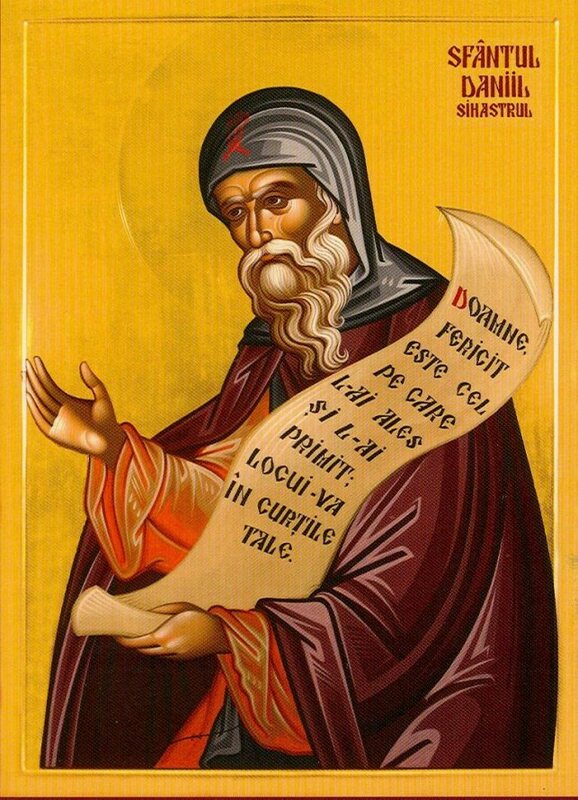 Venerable Daniel was born in a village not far from Rădăuţi, to righteous parents, being baptised with the name of Demetrius. 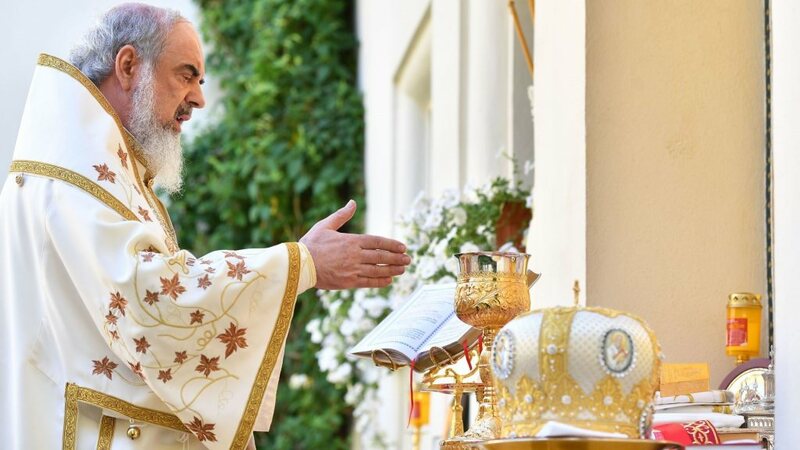 Having loved spiritual life, when he was 16 years old, he left his parents’ house and joined the community of the Rădăuţi Monastery dedicated to Saint Nicholas, growing in faith, good deeds, prayer and night vigils. 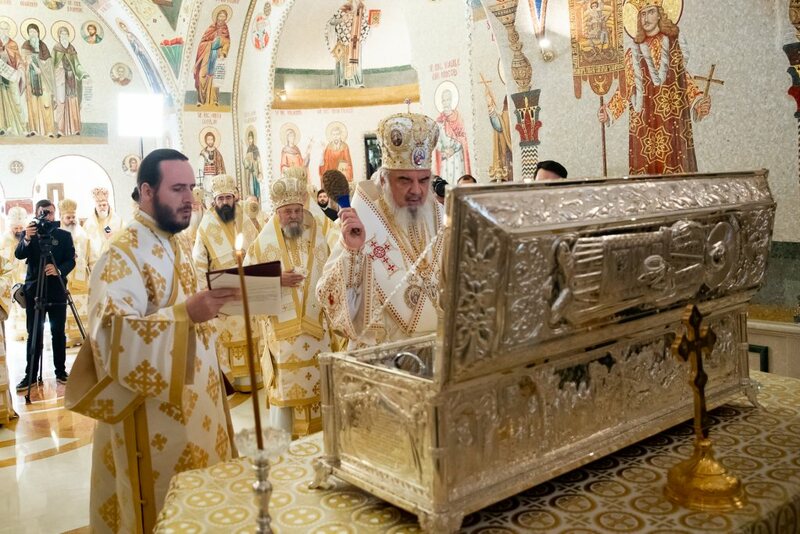 He was reading every day the writings of the Holy Fathers and liturgical books, showing obedience and humbleness in everything he had to do by the abbot’s decision. He became a monk as a reward for his efforts, by the name of David, but his aspiration for more severe spiritual efforts led him to Saint Leontius of Rădăuţi Monastery, close to today’s Laura village. There, he worked together with the brethren of the monastic community during the day and prayed incessantly in his cell at night. Having seen his endeavours and noticing his continuous aspiration to God, the abbot of the monastery gave him the Great Schema, advised by his father confessor, receiving the name of Daniel. Soon after he received the Great Schema, he retired, with the blessing of his abbot, near Viţău brook, in the forests around Putna, where he dug a cell in a rock that can still be seen today, not far from Putna Monastery. His ascetic efforts would make him known rather soon, having been visited by many faithful who wanted his advice and spiritual guidance, as well as to intercede to God for healing their spiritual and physical diseases. Out of his many spiritual children that used to come to him rather often, one can mention Holy Ruler Prince Stephan the Great (†1504), who received spiritual advise and blessing of the pious hermit. Stephan is said to have come to the cell of the pious hermit for the first time in 1451, when his father was killed at Reuseni. Pious Daniel encouraged him and predicted he would be ruling prince. That came true after six years (1457). Following his advice, great Stephan founded Putna Monastery in 1466. After the monastery was consecrated, in 1470, the pious hermit went to live at the Eagle’s rock, near Voroneţ. Stephan the Great went to ask for his advice there too, in 1476, after he was defeated at Războieni. The hermit encouraged him to gather his army again and defend the country and Christianity against the invading pagans. The prince followed his advice and promised that after every victory he would raise a church, and so he did. Thus, besides the great prince, Venerable Daniel was also protecting Moldavia through his permanent prayers well received by God. In 1488, Stephan the Great built Voroneţ Monastery in only four months and a half. 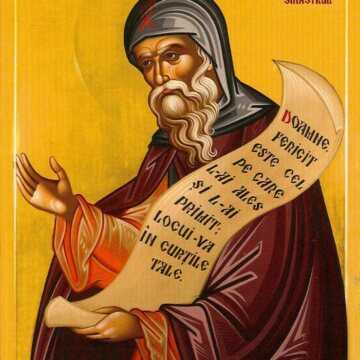 Then, venerable Daniel came to the community over there and was elected abbot. There, he advised the monastic community and the neighbouring hermits, having been spiritual father of many faithful who came to him to receive spiritual benefit. God has also given him the gift to perform miracles, which the pious always tried to hide. Yet, the healing of diseases and casting out the bad spirits were signs of his holiness for which he was greatly venerated. In 1496, pious Daniel has fallen asleep into the Lord, Whom he had served ever since he was a young man. The text on his gravestone laid by Holy Ruler Prince Stephan reads: “This is the grave of our father David, hermit Daniel”. In 1547, at the command of the metropolitan of Moldavia, Gregory Roşca (†1570), one of his disciples, his face was painted, with a saint’s halo, over the entrance door, on the southern side of the church. The parchment Pious Daniel holds in his hand reads: “Come, my children, listen to me; I will teach you the fear of the Lord” (Psalm 34:11). 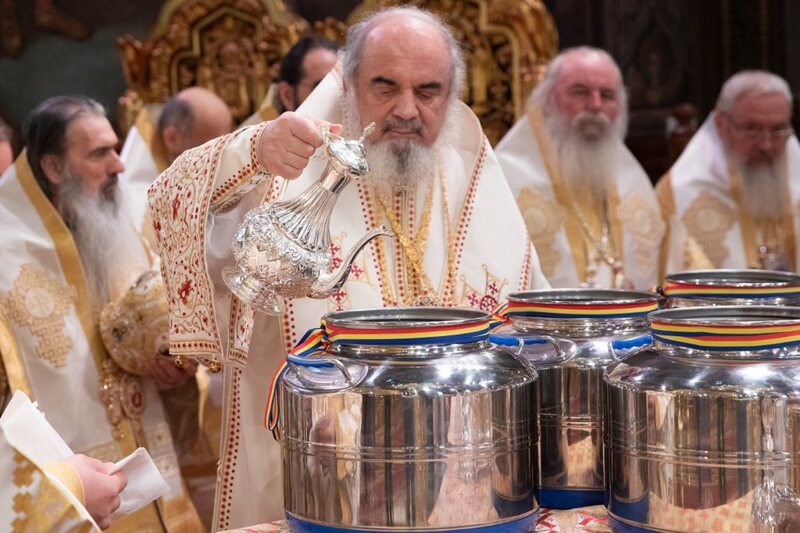 On 5 March 1992, the Holy Synod of the Romanian Orthodox Church decided that Holy Venerable Daniel the Hermit be enlisted in the calendar and celebrated on 18 December. 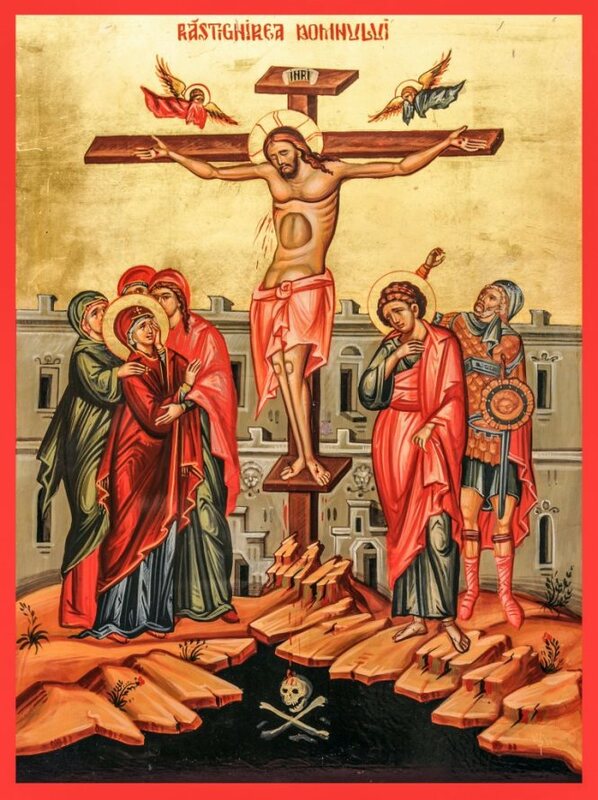 In you, oh, Father, the one created in the image of God was saved, for taking up the Cross, you did follow Christ and, by your deeds, you did teach us to overlook the flesh, for it is perishable, but to be attentive to the soul since it is immortal. Therefore, oh, Pious Father Daniil, your spirit rejoices with the angels. 2. The Holy Martyr Sebastian was born in the city of Narbonum in Gaul (modern France), and he received his education at Mediolanum (now Milan). Under the co-reigning emperors Diocletian and Maximian (284-305) he occupied the position of head of the imperial guards. Saint Sebastian was respected for his authority, and was loved by the soldiers and those at court. He was a brave man filled with wisdom, his word was honest, his judgment just, insightful in advice, faithful in his service and in everything entrusted to him. He was a secret Christian, not out of fear, but so that he could provide help to the brethren in a time of persecution. The noble Christian brothers Marcellinus and Mark had been locked up in prison, and at first they firmly confessed the true Faith. But under the influence of the tearful entreaties of their pagan parents (Tranquillinus and Marcia), and also their own wives and children, they began to waver in their intent to suffer for Christ. Saint Sebastian went to the imperial treasurer, at whose house Marcellinus and Mark were held in confinement, and addressed the brothers who were on the verge of yielding to the entreaties of their family. “O valiant warriors of Christ! Do not cast away your everlasting crowns of victory because of the tears of your relatives. Do not remove your feet from the necks of your enemies who lie prostrate before you, lest they regain their strength and attack you more fiercely than before. Raise your banner high over every earthly attachment. Then Saint Sebastian said that if necessary, he would be willing to endure torment and death in order to show them how to give their lives for Christ. Zoe, the wife of the jailer Nicostratus, had lost her ability to speak six years previously, and she fell down at the feet of Saint Sebastian, by her gestures imploring him to heal her. The saint made the Sign of the Cross over the woman, and she immediately began to speak and she glorified the Lord Jesus Christ. She said that she had seen an angel holding an open book in which everything Saint Sebastian said was written. Then all who saw the miracle also came to believe in the Savior of the world. Nicostratus removed the chains from Marcellinus and Mark and offered to hide them, but the brothers refused. Mark said, “Let them tear the flesh from our bodies with cruel torments. 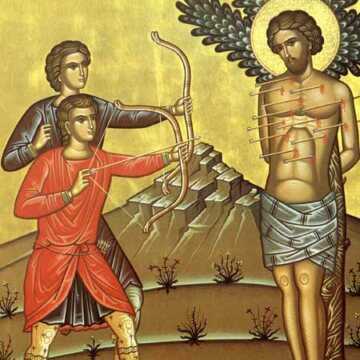 They can kill the body, but they cannot conquer the soul which contends for the Faith.” Nicostratus and his wife asked for Baptism, and Saint Sebastian advised Nicostratus to serve Christ rather than the Eparch. He also told him to assemble the prisoners so that those who believed in Christ could be baptized. Nicostratus then requested his clerk Claudius to send all the prisoners to his house. Sebastian spoke to them of Christ, and became convinced that they were all inclined to be baptized. He summoned the priest Polycarp, who prepared them for the Mystery, instructing them to fast in preparation for Baptism that evening. Then Claudius informed Nicostratus that the Roman eparch Arestius Chromatus wanted to know why the prisoners were gathered at his house. Nicostratus told Claudius about the healing of his wife, and Claudius brought his own sick sons, Symphorian and Felix to Saint Sebastian. In the evening the priest Polycarp baptized Tranquillinus with his relatives and friends, and Nicostratus and all his family, Claudius and his sons, and also sixteen condemned prisoners. The newly-baptized numbered 64 in all. 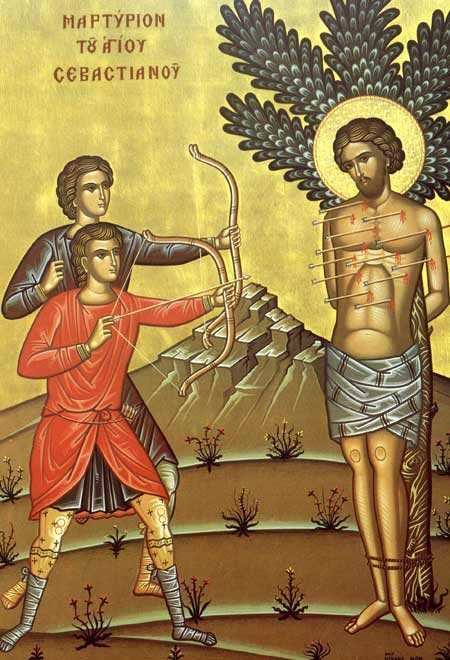 Appearing before the eparch Chromatus, Nicostratus told him how Saint Sebastian had converted them to Christianity and healed many from sickness. The words of Nicostratus persuaded the eparch. He summoned Saint Sebastian and the presbyter Polycarp, and was enlightened by them, and became a believer in Christ. Nicostratus and Chromatus, his son Tiburtius and all his household accepted holy Baptism. The number of the newly-enlightened increased to 1400. Upon becoming a Christian, Chromatus resigned his office of eparch. During this time the Bishop of Rome was Saint Gaius (August 11). He blessed Chromatus to go to his estates in southern Italy with the priest Polycarp. Christians unable to endure martyrdom also went with them. Father Polycarp went to strengthen the newly-converted in the Faith. Tiburtius, the son of Chromatus, desired to accept martyrdom and he remained in Rome with Saint Sebastian. Of those remaining, Saint Gaius ordained Tranquillinus as a presbyter, and his sons Marcellinus and Mark were ordained deacons. Nicostratus, his wife Zoe and brother Castorius, and Claudius, his son Symphorian and brother Victorinus also remained in Rome. 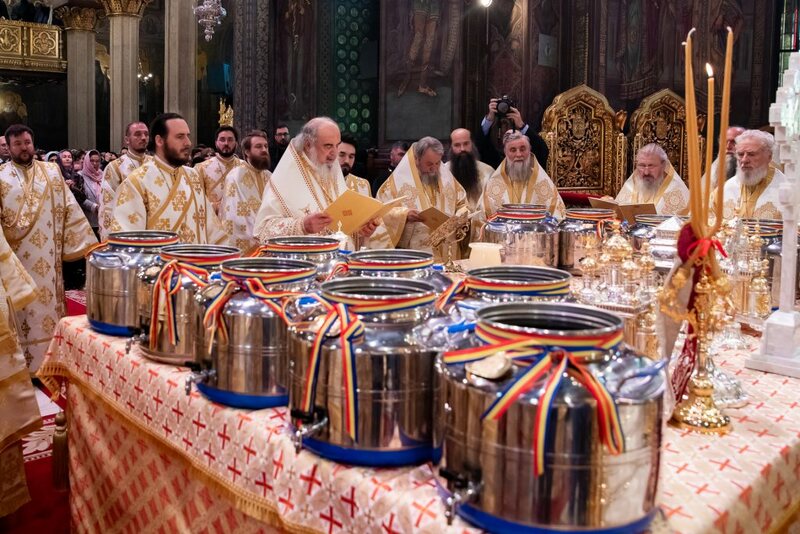 They gathered for divine services at the court of the emperor together with a secret Christian named Castulus, but soon the time came for them to suffer for the Faith. The pagans arrested Saint Zoe first, praying at the grave of the Apostle Peter. At the trial she bravely confessed her faith in Christ. She died, hung by her hair over the foul smoke from a great fire of dung. Her body then was thrown into the River Tiber. Appearing in a vision to Saint Sebastian, she told him about her death. The priest Tranquillinus was the next to suffer: pagans pelted him with stones at the grave of the holy Apostle Peter, and his body was also thrown into the Tiber. Sts Nicostratus, Castorius, Claudius, Victorinus, and Symphorian were seized at the riverbank, when they were searching for the bodies of the martyrs. They were led to the eparch, and the saints refused his command to offer sacrifice to idols. They tied stones to the necks of the martyrs and then drowned them in the sea. The false Christian Torquatus betrayed Saint Tiburtius. When the saint refused to sacrifice to the idols, the judge ordered Tiburtius to walk barefoot on red-hot coals, but the Lord preserved him. Tiburtius walked through the burning coals without feeling the heat. The torturers then beheaded Saint Tiburtius, and his body was buried by unknown Christians. Torquatus also betrayed the holy Deacons Marcellinus and Mark, and Saint Castulus (March 26). After torture, they threw Castulus into a pit and buried him alive, but Marcellinus and Mark had their feet nailed to the same tree stump. They stood all night in prayer, and in the morning they were stabbed with spears. Saint Sebastian was the last one to be tortured. The emperor Diocletian personally interrogated him, and seeing the determination of the holy martyr, he ordered him taken out of the city, tied to a tree and shot with arrows. Irene, the wife of Saint Castulus, went at night in order to bury Saint Sebastian, but found him alive and took him to her home. Saint Sebastian soon recovered from his wounds. Christians urged him to leave Rome, but he refused. Coming near a pagan temple, the saint saw the emperors approaching and he publicly denounced them for their impiety. Diocletian ordered the holy martyr to be taken to the Circus Maximus to be executed. They clubbed Saint Sebastian to death, and cast his body into the sewer. The holy martyr appeared to a pious woman named Lucina in a vision, and told her to take his body and bury it in the catacombs. This she did with the help of her slaves. Today his basilica stands on the site of his tomb. 3. 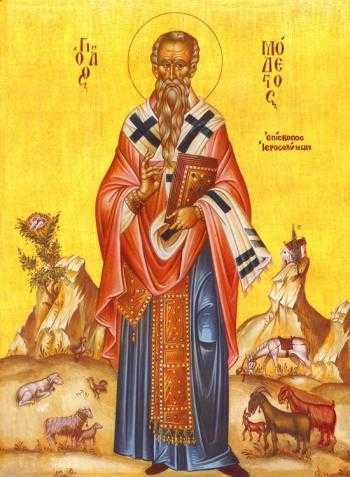 Saint Modestus, Archbishop of Jerusalem, was born into a Christian family in Cappadocian Sebasteia (Asia Minor). From his youth he felt a strong attraction towards strict monastic life. Saint Modestus accepted monastic tonsure. Afterwards, he became head of the monastery of Saint Theodosius the Great in Palestine. At this time (the year 614), military forces of the Persian ruler Chosroes fell upon Syria and Palestine, killing ninety thousand Christians and destroying Christian churches. Patriarch Zacharias of Jerusalem and a multitude of Christians were taken into captivity, along with the Cross of the Lord. 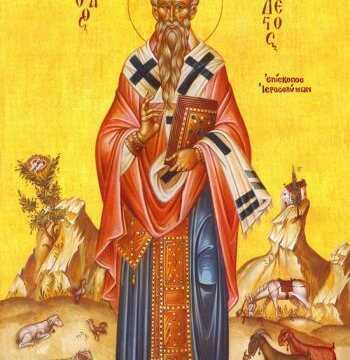 Saint Modestus was entrusted to govern the Jerusalem Church temporarily as locum tenens of the patriarchal cathedra.